Subversive Sabbath, A. J. Swoboda, Foreword by Matthew Sleeth, MD. Grand Rapids: Brazos Press, 2018. Summary: An extended argument showing how keeping sabbath is a counter-cultural, subversive practice in every area of life. “How is the Sabbath subversive? The truth remains that Sabbath will be challenging for anyone to live out in our busy, frenetic world. Sabbath goes against the very structured and system of the world we have constructed. Sabbath, then, becomes a kind of resistance to that world. Such resistance must be characterized as overwhelmingly good. In other words, if Sabbath is hard, then we are doing it right. It is never a sign of health or godliness to be well-adjusted to a sick society….Relating to our world of death, ‘going along’ is a sign of death. Living fish swim against the stream. Only the dead go with the flow” (p. xi). The book consists of four parts, each with three chapters: Sabbath for Us, Sabbath for Others, Sabbath for Creation, and Sabbath for Worship. Beginning with Sabbath for Us, the first chapter explores Sabbath and Time, and the marvel that the first day life for Adam and Eve was a sabbath, where they rested along with God, and how hard it is for us to do the same. Sabbath and Work calls us to establishing rhythms of work and rest and challenges our worship of work instead of a reliance upon God when we do not work that carries into our work. Sabbath and Health speaks into how often we cannot say “no” when God says “no” and invites us for our health’s sake to rest. In Sabbath for Others, Swoboda begins with Relationships, and how Sabbath practiced together may overcome the isolation of our lives and strengthen community. In Sabbath, Economy and Technology, Swoboda challenges us to think about how we prepare for the Sabbath in advance, and how we might do so in ways that others also enjoy rest, and how to manage our technology so we step away from our screens (he just went from preaching to meddling here!). He takes this further in Sabbath and the Marginalized, considering the implications of practicing the Sabbath so that the poor, the marginalized, the under-employed also find rest. Sabbath for Creation begins by focusing on the intricate balance of creation and how Sabbath neglected is part of the the degradation of creation. He proposes that Sabbath is the string that holds everything together and that Sabbath-keeping is earth-keeping. Sabbath and the Land focuses particularly on how land needs sabbath to be restored, fallow periods every seven years that enrich the soil to enrich us. Sabbath and Critters (!) focuses on how we treat our animals, even to the point of suggesting chickens get a Sabbath from laying, and that all our animals need rhythms of rest. Part Four centers around Sabbath as Worship, the ways we glorify God in community and in the world. It is Witness, setting us apart as this weird, contrast society that might be intriguing to tired, burnt out friends. It is Worship, and sometimes what we sacrifice rest for tells us what we falsely worship. It calls us into the trust that believes by not doing but by resting, we will experience God’s care. It is Discipleship that helps clear out what should not be in our lives, that exposes the noise inside us in times of silence, and helps us rightly order our lives into a new week. “We worship the God who invented the weekend. This is why biblical scholar Al Baylis contends that ‘Genesis 1 is one of the most remarkable put-downs ever administered.’ The biblical creation account essentially served as a theological rebuttal of all the other ‘gods’ who never allowed anyone to rest. In a restless world, Yahweh required rest. Again, imagine what kind of first impression that would have given to an ancient person’s understanding of Yahweh. The God of Scripture not only rests himself but invites the world to rest with him” (pp. 9-10). The Pietist Vision of Christian Higher Education, Christopher Gehrz, ed. Downers Grove: InterVarsity Press, 2015. Summary: The contributors to this volume consider the “usable past” in Pietist thought and practice that might serve in the “forming of whole and holy persons” in Christian colleges with a Pietist heritage. Pietism often comes in for a bad rap in discussions of higher education from a Christian perspective. It is often viewed as anti-intellectual, more concerned with the affections of the heart than the life of the mind. The contributors to this volume, most with a connection to Bethel University, would propose both that this is a mere caricature of a truly robust Pietism, and that there are significant resources of theology and practice in historic pietism that may be drawn on as a “usable past” to form “whole and holy persons” from the students and faculty at Pietist institutions. I found the contributions in the first two sections of this work to be the strongest in actually defining what this usable past might be and how it could be critical to the higher education enterprise. In Part One on teaching, scholarship, and community in a pietist university, Daniel Williams argues that the convertative and conventicle aspects of pietism provide basis for transformation in a community of learners. Katherine Nevins argues for the importance of the priesthood of all believers, the emphasis on love of God and neighbor, and the pietistic virtues of humility and openness to correction as vital in the university classroom. Jenell Paris proposes that the Reformed integrative paradigm, with its focus on intellect and worldview may be complemented by the Pietist focus on the love of learning and the value of the intrinsic worth of a discipline of study. Phyllis Alsdurf contrasts the educational visions of Carl F. H. Henry and Carl H. Lundquist, a former Bethel University president. Henry was the better know both for his publications and his vision of a Christian Harvard. Lundquist, while sharing many of Henry’s evangelical commitments and endeavors actually realized the leadership of a Christian institution, instilling a perspective that linked love of Christ and learning, of heart and mind, of university and church mission together. Roger Olson returns to the themes of conversion and community and their role in fostering a learning that is transformative rather than just informative, and values sincere questioning and critical thinking done communally. Part Two then considers Pietism’s impulse of service to the world as part of our witness to Christ. Dale Durie applies the priesthood of all believers to the idea of a priesthood lived out in every field of inquiry in God’s temple, the creation, under God’s leadership, praying for and blessing others, being the church wherever we are, and acting in the world for the common good. Christian Collins Winn commends the Pietist virtues of openness, humility, love, and hope as vital to fostering a civil public discourse. Marion Larson and Sara Shady write of how these virtues have informed their efforts to educate students to relate to those of other faiths (see also From Bubble to Bridge from the same authors reviewed here). Part Three includes two models of Pietist informed education, in the fields of science and science teaching, and in nursing. Part Four seemed the most “miscellaneous” of the four parts. It begins with an essay by Raymond VanArragon on how open-mindedness and a Pietist concern for truth are held in tension. The next turns to the question of whether a Pietist university can be coherently organized while emphasizing Christian experience. Following this is Kent Gerber’s discussion of the need to curate and preserve Pietist resources and archives to foster research into “the usable past.” Finally Samuel Zalenga writes of the challenge of preserving Pietism given the neo-liberal economic pressures impacting the life of all universities. Christopher Gehrz concludes this collection with what he thinks Pietism can contribute in a season emphasizing innovation in the university world, and in so doing summarizes themes that have run through a number of these essays. Pietism emphasizes conversion, a transformation of the heart and not simply the informing of the mind, and Gehrz argues for the liberal arts when STEM has gained ascendancy as the “liberating” arts. He contends that the Christian university can function as a “little church within the church,” bringing reform to the whole. Finally, he sees the Pietist university as instrumental in serving to bring about a new world, as inward transformation is translated into outward service. What strikes me in reading this work is that it reflects one side of a conversation between the Pietist and Puritan (Calvinist Reformed) streams of the church in American history. The collection underscored for me both a deep appreciation of the Puritan stream, and yet a recognition of the worth brought by the undervalued Pietist stream. Rather than opposing these to each other, it is exciting to dream of what could happen in bringing these two streams together into a mighty river bringing fresh life and transformed character as well as intellectual rigor into Christian higher education, which may in turn both serve and challenge the secular higher education establishment. I wrote yesterday about the question of how we get the “public” into “public intellectuals” and particularly the role such persons might have in the Christian faith community. But this begs the question of how does one become a “public intellectual”? My short answer to this is that rather than one seeking such a role, I suspect many who begin to exercise this kind of influence would say the role has sought them as they have sought to exercise their gifts and sense of calling with diligence. That said, my own sense is that Christians who exercise this particular influence have life experiences that have formed and cultivated certain inherent qualities and gifts. Formation of character: The danger of a role with the term “intellectual” in it is that it is possible to be smart and yet not wise. Intellectual gifts may be used in divisive or hurtful ways or in ways that foster insight, spiritual growth and human flourishing. Proverbs says that “the fear of the Lord is the beginning of wisdom.” A healthy sense that one’s words and actions are carried out before One with whom we will reckon seems a vital requisite for the Christian public intellectual. Likewise, I would hope for someone who values all persons as made in the image of God, leading to the respect of anyone engaged, even the intellectual opponent. And lastly, though this is not sought, people who have experienced pain and failure, and have been formed redemptively through these experiences may be safeguarded from intellectual hubris and arrogance. Abraham Lincoln stands out to me as an example of such a person. Formation of the intellect: Sheer intellectual gifts are not enough without intellectual discipline. C.S. Lewis writes about “the Great Knock”, his tutor W. T. Kirkpatrick, who forced him to reason rigorously and clearly. Public intellectuals are not dilettantes but careful thinkers as well as reflective cultural observers who appeal to us, not by sentiment or emotional appeal but through disciplined thought clearly expressed. Training in logic, the history of ideas, as well as one’s disciplinary focus are all important. Hand in hand with this goes intellectual curiosity. Jacques Barzun, pictured above, found baseball and classical music, as well as cultural history and educational philosophy of great interest. I think this curiosity extends to people as well, understanding what they think and the sources of their passion for life. And it probably goes without saying, but most of these people are insatiable readers! Theological formation: Hand in hand with character and intellectual formation is the cultivation by the Christian intellectual of a profound, deeply embedded, and personally embraced understanding of the Christian faith. The idea is a faith that has become a way of seeing the world that brings unique perspectives and unique questions to any topic of conversation. The Christian public intellectual does not apply their understanding of the faith as a veneer over the general knowledge of a topic, trying to “Christianize” it, but rather understands any question within the framework of God’s purposes and ways in the world–whether we are talking about music, or educational philosophy, or community development, or emerging technologies. Communication skills: Any public intellectual not only thinks about matters of public concern. They also express themselves publicly–through writing, through teaching, through public addresses and public conversations. They know not only how to make an argument but how to communicate in terms their particular audience will grasp. They can adapt communication to the occasion, from the rigor of an academic journal, to an informal pub conversation, to an op-ed, to a public dialogue. In this age, this probably includes the media savvy to communicate in various online fora. In some sense, one never stops developing these requisite qualities and skills. Most will never become “Christian public intellectuals” on a national or international scale. It may be, as I discussed yesterday, that the local pastor who exercises this ministry within his or her parish, both within the church and in the broader community, may be doing the most important work. Likewise this applies to the local academic, the local journalist, the local business leader, doctor, or lawyer. Public intellectuals arise from all these professions–consider for example the role a person like Bill Gates exercises in global conversations, and the influence he and Mark Zuckerberg and even Oprah have when they share book recommendations. How do people rise to prominence? There seems to be a philosophy today of “building one’s platform” on social media. I wonder if, while this may be a part of the equation, whether a more important piece is simply devoting oneself to the excellent exercise of one’s gifts in producing good work. With that comes the crucial requisite of engaging others in various public fora around that work, from town councils to academic symposia to publications in newspapers, magazines and journals. There is something of mystery why some gain increasingly large audiences who recognize the worth of their work. Sometimes, it seems simply a fortuitous convergence of opportunities. Sometimes, it is clearly the result of long and excellent hard work. What one hopes is that this never goes to one’s head, that one simply pursues this calling with a sense of amazement wondering, “why would anyone listen to what I say?” and even more amazement when that proves helpful to another human being or constructive in advancing the public good. In The Beginning, GOD, Marva J. Dawn. Downers Grove: InterVarsity Press, 2009. Summary: A series of reflections on the texts of Genesis 1-3 focused not on questions of beginnings and the controversies that surround these chapters but on what they show us of God and how this may lead us into worship. Over the last 150 years, the first chapters of Genesis have been a battleground between faith and science, and sometimes between competing views within the Christian community. Marva J. Dawn thinks all of this misses the central object of these chapters. She contends these chapters reveal the character of God and lead us into worship of this God. There is the very text itself. She observes the liturgical character of Genesis 1:1-2:3 with its repetition of “God said,” “it came to be,” “it was good,” and “evening and morning.” with an ordering of creation and a culmination in God’s “very good” and the rest of the seventh day. This is a story in which we are formed. There is the creation of human beings as male and female. They are formed for care of the earth. They are formed for justice, with enough food and all the goods of creation for all. They are formed for sabbath-keeping. As God rests, so may we. She considers the second of the accounts beginning with Genesis 2:4, with humans placed in a well-watered garden. Like a number of other scholars, Dawn notes that the woman is “helper”, a term used of God 17 times and thus not a term of subordination. She notes the design of our sexuality to be a leaving, cleaving and becoming one between woman and man. She then explores the fall and the choice God gives that allows us to choose love, the nature of human sin, and its effects, and the mercy of a God who clothes the naked and ashamed couple in skins, foreshadowing a greater sacrifice. To whom do I belong? To whom do I pledge my loyalty? What is wrong with the world? Why is there so much disorder? How can it be fixed? What is the remedy for sin and evil? Where am I headed? What is my goal? How does everything fit together? Is there a master story? How can I survive? When the forces of evil assail me, how do I find the power to protect myself? What do I respect? By what values do I live? Why should I live? What gives meaning to my existence? How can there be a future when the world is in such a mess? How do I find hope? What is my center? Who is our God? The Epilogue to the book is a confession of sin and faith based on her reading of Genesis, a confession she first introduced at InterVarsity’s 2002 Following Christ conference in Atlanta (I was there!). Dawn’s book is reflection, not polemic. Along the way, she helps us recognize the important emphases of Genesis without descending into controversy or weighty exegesis. She opens our eyes to the wisdom and beauty and grace and truth of God in his creative work, and the beginnings of his dealings with human fallenness. She leads us into worship and response to what God has done in a series of short but rich reflections. I would commend this as a first text to read for any interested in the message of Genesis 1-3, to focus us on foundational and formative truths rather than the incidental concerns that have come to occupy our attentions. 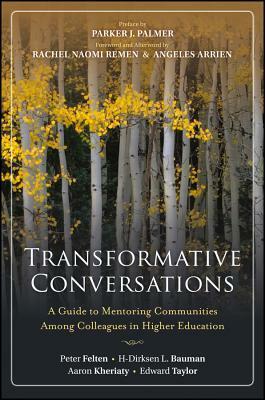 Yesterday, I wrote that because scholarly communities are formative communities, Christians and other persons of faith who care about a seamless connection between belief and scholarship need to engage in what James K. A. Smith calls “thick formative practices” that foster that seamless connection. The alternatives to this are assimilation into the prevailing worldview and values of one’s scholarly community at the loss of vibrant Christian faith, the bifurcation of life into sacred and secular categories resulting in privatized faith and a public embrace of the worldview of one’s discipline. A third alternative is the “embattled enclave” mentality, where one holds to one’s faith convictions but engages with one’s discipline from an exclusively conflict-oriented posture. Today, I want to turn to what those “thick formative practices” might be. I would like to focus on four practices which I believe important to bringing our discipleship and scholarship together. 1. Cultivating practices of attentiveness to God in one’s life. Years ago, as a college student, I was taught the habit of “The Daily Quiet Time”. At times this is maligned as inflexible, or confining of God to one’s personal devotional life. This needn’t be the case and there are a variety of spiritual practices of attentiveness one may explore in these private times with God over a lifetime. At the core of all of these practices is the idea of listening attentiveness to God, in prayer, in scripture, and in the examination of one’s life resulting in a response to God of joyful worship, trust in the practical matters of our lives, and obedience to the commands and precepts and personal insights from God that we gain in these times. What I and others are discovering more in recent years is that the habit of humble attentiveness is one that spills over into academic life, as we seek to attend to the creation, to data, to other voices–listening for the promptings of God–sometimes in the form of questions that turn into research questions, sometimes in terms of insights. 2. Learning to think Christianly about all of life. This practice flows from the practices of attentiveness as we consider, what is God’s pleasure in this area of research, this area of human activity, this personal endeavor, this relationship? But there are two additional pieces that the scholar-disciple needs to cultivate. One is a devotion to study of Christian sources: the Bible with the end of understanding God’s redemptive story as that is worked out from cover to cover, the basic contours of Christian belief captured in creeds, confessions, and theological works, and at least some understanding of Christian history and how believing people have confronted life’s greatest questions over two millenia. It is often helpful to ask how the truth we encounter bears on the questions of our disciplines. 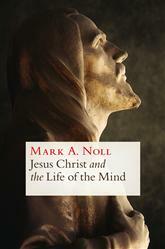 Mark Noll in Jesus Christ and the Life of the Mind gives us a wonderful example of how reflecting on Christology, our beliefs about Christ, inform questions in various disciplines. The other is study in and practice of one’s chosen discipline where one is consistently asking God for insight into the underlying worldview, the questions, findings and practices of one’s discipline. In some cases these may be consistent with Christian conviction, in some cases they actually reflect a creative outworking of that conviction, and sometimes at the level of ideas, sometimes at the level of ethics, we will find ourselves differing. My sense of how this seems to work for many is the movement from disparate things (faith and scholarship) to strands of connection, to a seamless garment over the course of years of thought, exploration, questioning, and discussion. 3. Engagement in Christian scholarly communities. One of the paradoxes of scholarly life is that one is both deeply embedded in a formative community of fellow scholars, and yet often working in a solitary fashion. Temperament may reinforce this as many, though not all, academics are introverts. Certainly an important element is involvement with a diverse worshiping community beyond the university that reminds us of the relevance of our faith beyond our own contexts. At the same time, via physical communities in one’s own university, virtual communities online, and the written works of others wrestling with questions similar to ours, we sharpen our insights and strengthen our resolves to live faithfully in our own contexts. The “Inklings” with which C. S. Lewis, Tolkien and others gathered to read and critique work is an outstanding example of this (which also included friends who didn’t share their beliefs). In another context, William Wilberforce’s efforts to abolish slavery were greatly enhanced by a community of religious leaders, businessmen and scholars committed to working out the implications of Christian faith for the benefit of British society and the glory of God. 4. Practicing intellectual hospitality and engagement in one’s context. I posted recently on some of the contours of intellectual hospitality so I won’t reiterate all of that here. In brief, I would say that in the departmental or professional context where one works there are opportunities to the practices of Christian charity, courtesy, and courage. Charity means welcoming colleagues or peers as Christ has welcomed us and treating them as valued human beings regardless their views. Courtesy calls us to afford the ideas and beliefs of others the same respect we would wish for our own. It also can mean accepting the hospitality of peers and colleagues–both in terms of personal friendship, and in terms of intellectual exchange. And finally it may sometimes call for courage in being honest about our faith where the situation requires it, even while we seek to be charitable rather than belligerent, and willing to listen as well as to speak. Sometimes, speaking to a Christian student group or as part of a public discussion hosted by such a group involves practicing this courage. This is not a call to proselytize in class but rather a call not to “duck” when we are given opportunities to be honest about our identity or speak about how our faith contributes insight to important disciplinary questions. I would appreciate hearing the insights of others in bring faith and scholarship together. In a world where these two are so polarized, and often function antagonistically toward each other, it seems this is a vital discussion. I’ve read several works on spiritual direction and what I most appreciated about this was the author’s down to earth approach to these matters. She introduces herself as an “amateur” in these things, which carries both the notion of learner and lover. At points I’ve been put off by the professionalization of spiritual direction. Her test of a calling to this is simply that people begin to trust themselves deeply to one. She begins by describing how she welcomes strangers, those new to a directee relationship. This was very practical, dealing with her own preparation, the preparation of both physical space and a safe atmosphere for direction. Her next chapter is on the director as a good teacher. Most striking is that good teachers encourage play. While direction often explores serious matters, there can also be a lightness, a joy, and even laughter in this relationship. Good teachers also know the pupil’s limits, are hopeful, ask good questions, evaluate progress, and are themselves learners. The third chapter explores the idea of director as midwife, the one who comes alongside a birthgiver to instruct and coach, and oft-times to simply wait as insight gestates. Most striking was her discussion of “transition”, a time just before birth where the birthgiver may totally lose a sense of control and how the midwife can give good direction and support at this time to lean into the hard work of giving birth to spiritual insight and growth. The final chapter explores the direction of women as well as what it means for women to act as directors. Two critical elements here were helping women find their voice and not simply default to submission, and to face the sin of self-contempt, which Guenther especially sees in women. She concludes with an exploration of directing those who have faced abuse. This is a slim and yet rich book that is probably one of the best treatments of spiritual direction I’ve read, especially valuable for its lack of pretension and refreshing “down to earthness”.